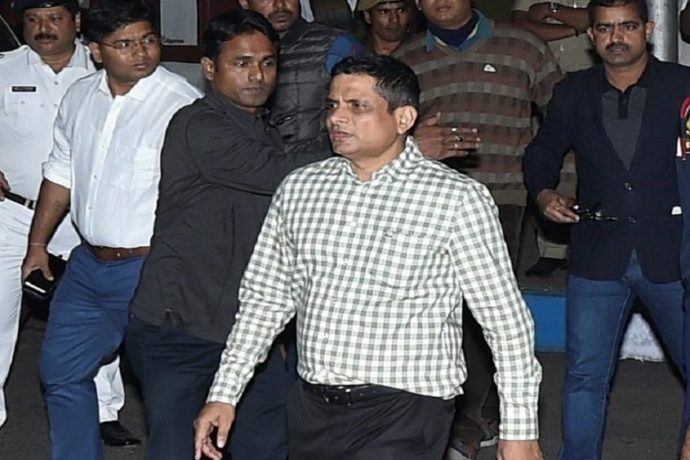 New Delhi, Feb 5: The Supreme Court has on Tuesday directed Kolkata Police Commissioner Rajeev Kumar to make himself available before the CBI and “faithfully” cooperate with the agency in investigation of cases arising out of the Saradha and Rose Valley chit fund scams probe. The court said Kumar will appear before the Central Bureau of Investigation (CBI) for investigation at Shillong in Meghalaya. It, however, added that no coercive steps, including arrest, will take place during the course of investigation. The decision was taken by a bench headed by Chief Justice of India (CJI) Ranjan Gogoi which also issued a notice to Kumar and sought his response before February 20, the next date of hearing on the allegations by the CBI that he was tampering with electronic evidence and that the SIT headed by him provided the agency with doctored materials. The CBI filed additional documents in the court on Tuesday to back up its claim that he had destroyed evidence related to the Saradha and Rose Valley chit fund scams. In the documents, the CBI stated that the role of Kolkata’s police chief was being investigated as the Special Investigation Team formed to probe the Saradha and Rose Valley chit fund scams had protected these companies as they had made contributions to the Trinamool Congress. Arguing on behalf of the CBI, attorney general KK Venugopal said the contributions made to TMC by the chit fund firms were via cheques. The A-G has sought permission to furnish the documentary evidence against the Kolkata police chief in a sealed cover. Senior lawyer Abhishek Manu Singhvi, who appeared for West Bengal, said the CBI’s attempt to search the top cop’s home was is a bid to harass and humiliate him. “There’s no FIR against Rajeev Kumar,” he said. The court order, preventing the police chief’s arrest, prompted West Bengal chief minister Mamata Banerjee to call it a “moral victory” from the venue of her dharna in Kolkata. Minutes after the order, she said she was grateful to the court for vindicating her stand. “I am not pleading for Rajeev Kumar, I am pleading for millions of people of this country. It is a victory of the people of Bengal. It is a victory of our Save India campaign. It is the victory of our forces, our democracy and our Constitution. It is a victory of the Opposition,” she added.